Play Peanut Butter Cookies and more Girls Games on Games1.com! The cooking game series Cooking with Emma is fun for everyone who loves to eat and cook! Try the vegan recipe Peanut Butter Cookies which isn't only healthy, but also tastes delicious. 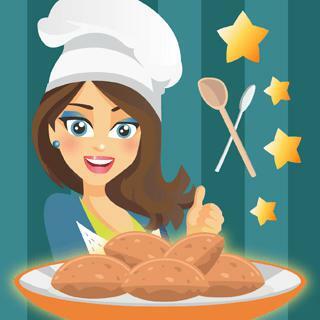 Help Emma to select the ingredients, prepare the dough and bake fabulous, crunchy cookies. Try them and be surprised how good they are! Bon appetit!